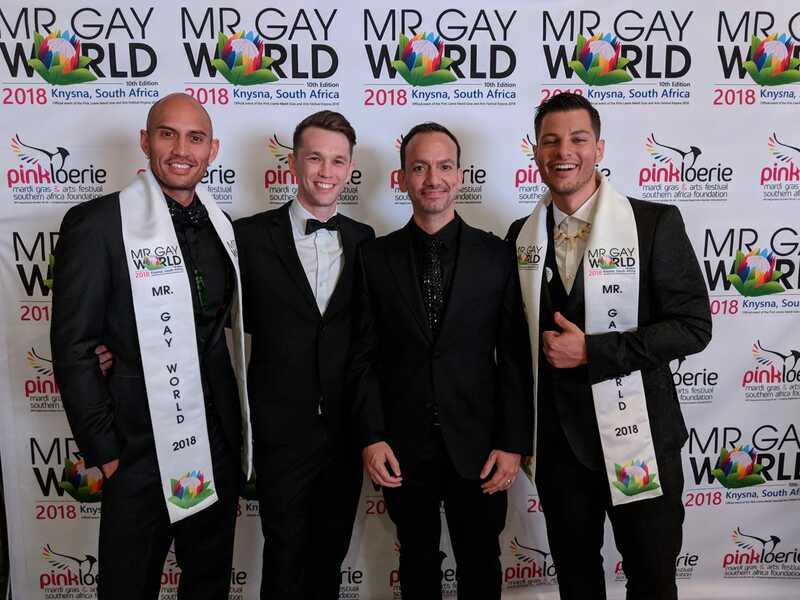 Jordan Bruno from Australia has won Mr Gay World 2018 at the finale held in Knysna South Africa this morning. 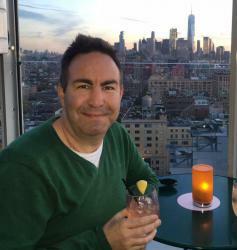 Speaking with Gay Nation soon after the announcement an emotional Bruno said he was overwhelmed and couldn’t believe it was real. “My first emotion is surreal because I can’t believe this has actually happened,” an emotional Bruno explained to Gay Nation. “Am I emotional, I’m always emotional, I only cried for a minute which is pretty good for me. Normally I cry for half a day. Of the 12 challenge winners announced Australia won six of them including Formal Wear, Personal Interview and the Social Responsibility challenge. 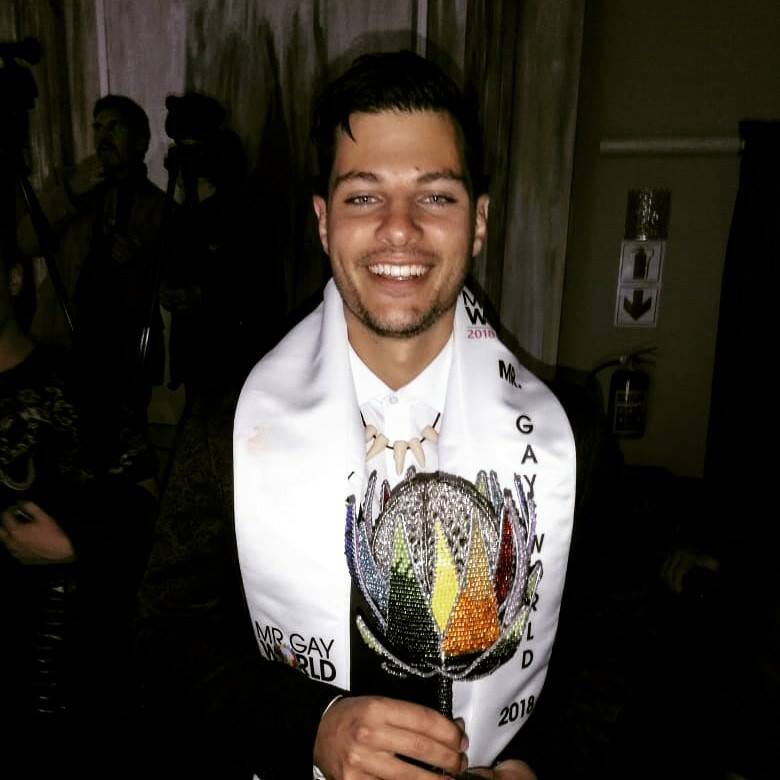 But it’s the other delegates, that Bruno has made a bond with over the past week, who he wants to help first as Mr Gay World 2018. “The first thing I would like to do is consolidate with the other contestants about what they’re trying to do and see if I can contribute in any way and help with their missions. 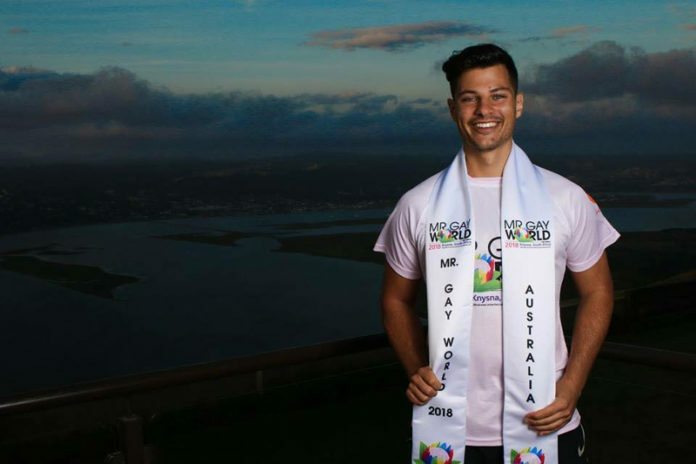 Winning the first ever Mr Gay World title for Australia hasn’t sunk in yet, but he is grateful for all the support and help that has got him to take away the ultimate title. “The week’s been really full-on, there’s been lots of challenges that have all be difficult in their own way some are emotionally draining some are physically challenging so across the board its been a level of consistency that you needed to display to reach the point that I have. First Runner-up Ricky Devine-White said he was excited about Jordan winning and was so happy about spending the week with an incredible group of guys. 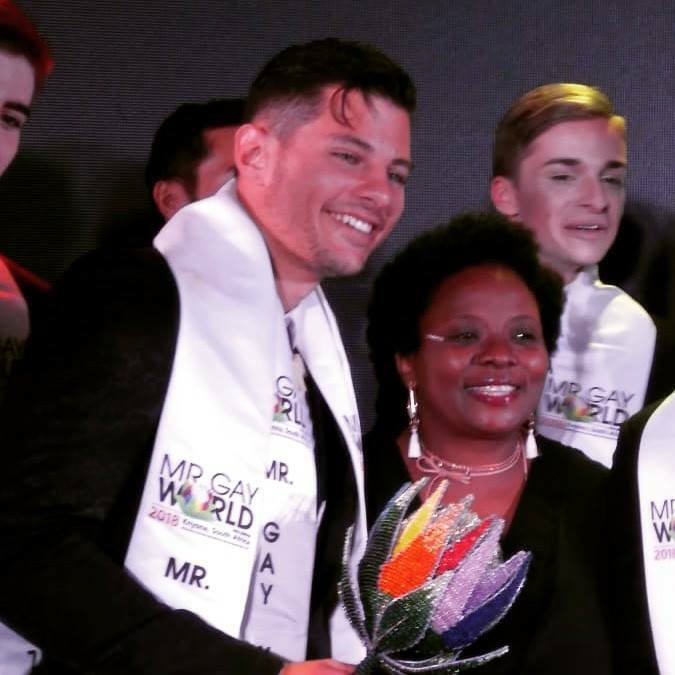 “The fact that you are in a competition and you’re also like a family at the same time which is quite interesting because you are competing against each other but also each other’s best friend as well,” said Devine-White following the announcement to Gay Nation. “There’s been tears already, they’ve just told us everyone has to be on the bus at 8am to the airport tomorrow. The final places: 1. Australia, 2. New Zealand, 3. India, 4. Taiwan, 5. Portugal. Top 10: New Zealand, Belgium, Mexico, Germany, South Africa, Australia, Portugal, Costa Rica, India & Taiwan.